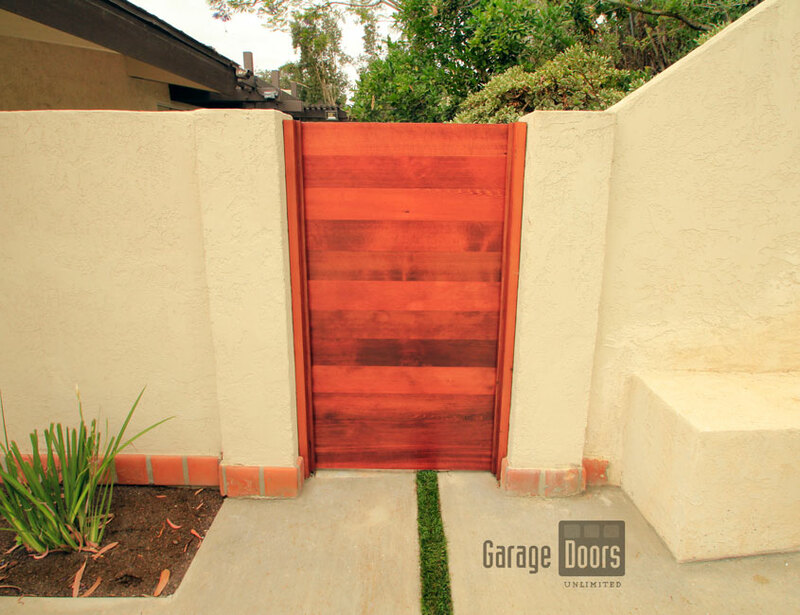 Making an entrance and leaving an impression are two different ideas. 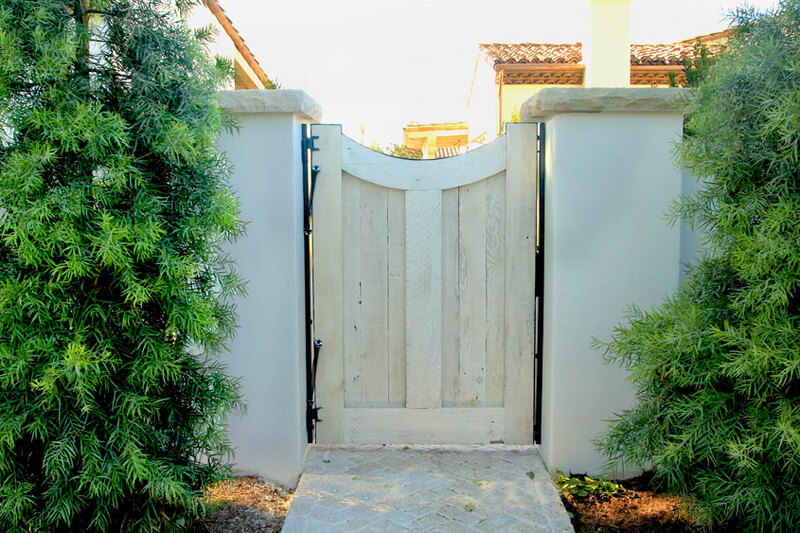 You can achieve BOTH goals with our pedestrian gates! 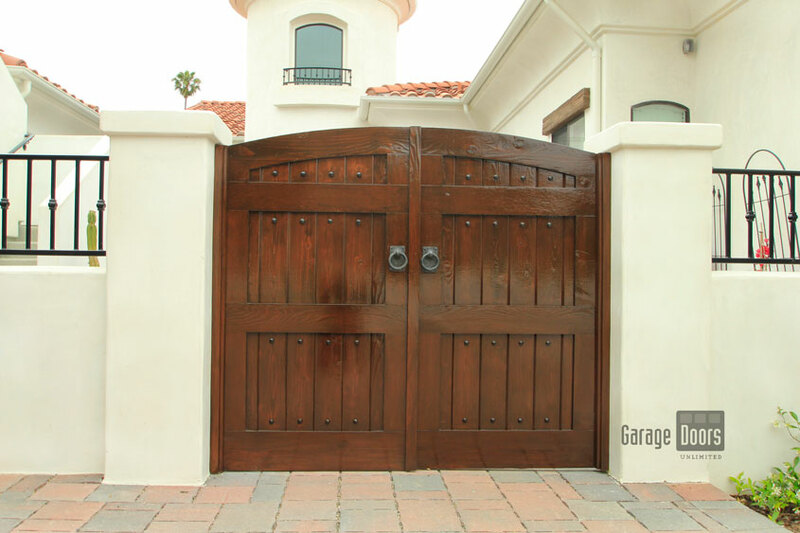 These gates have customization like our driveway gates and come in wood, glass, or wrought iron. 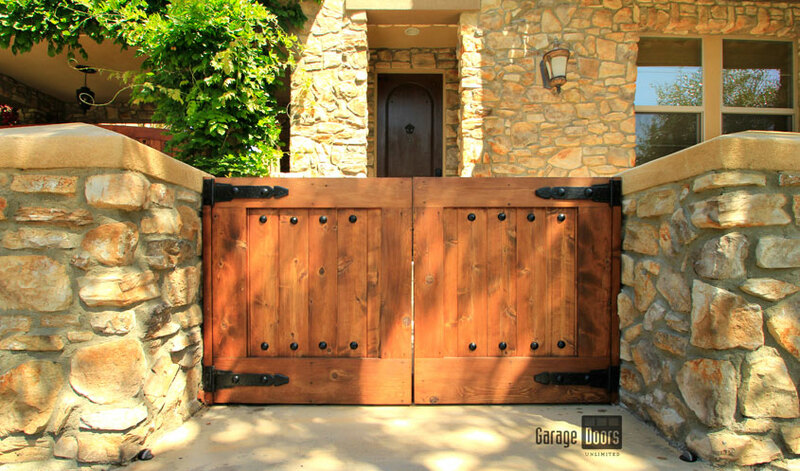 Automatic entry is an option for these gates along with a manual latch and key for a traditional style. 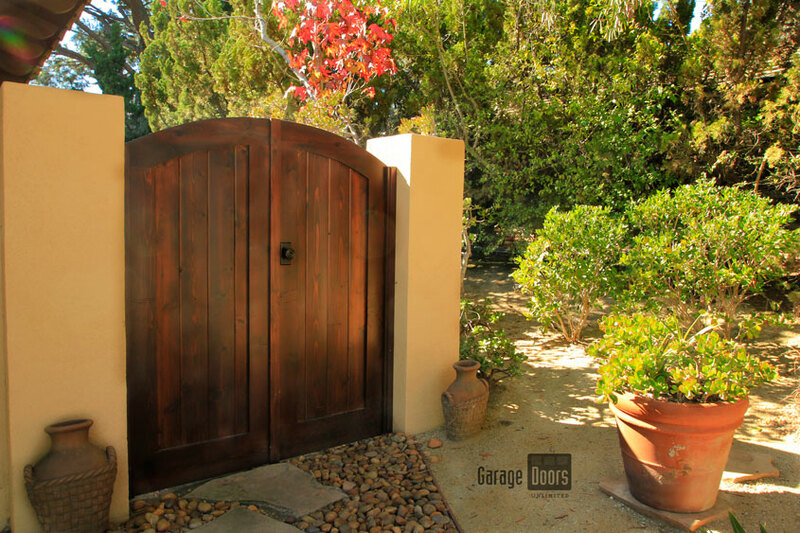 These garden gates or pedestrian gates provide security for the side portions of your home and protect the areas leading to your backyard. 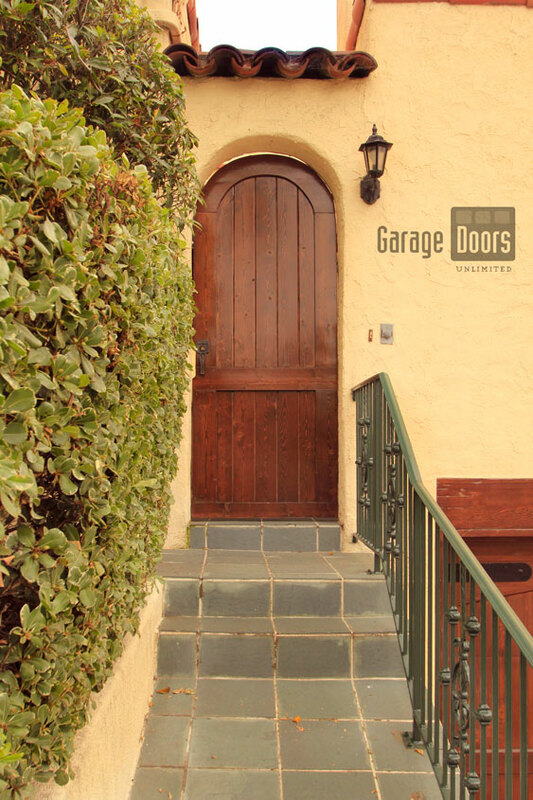 Every walkway and door leading to your home deserves security and a touch of style! 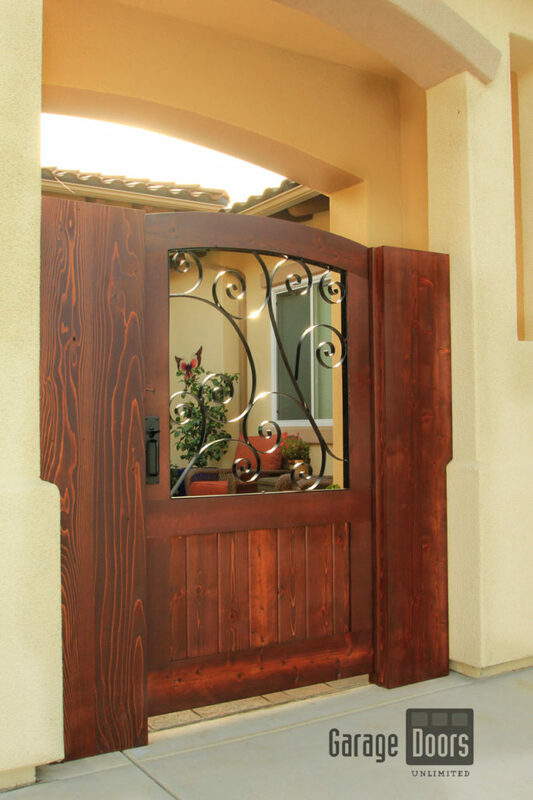 Introduce your home to family and guests with our line of custom entry gates. 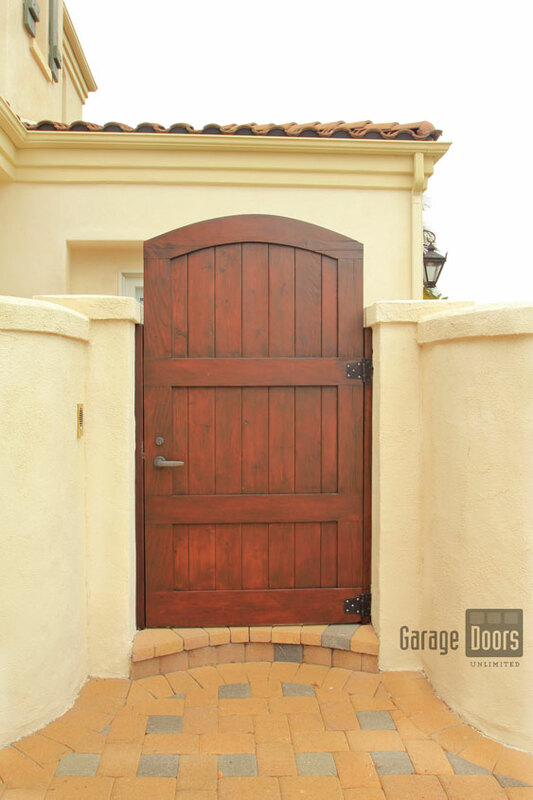 Browse our collection below and learn more about each style! 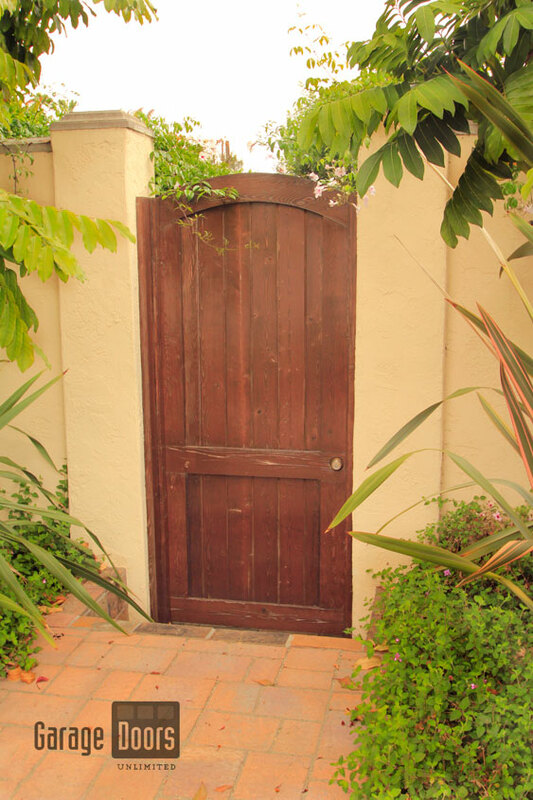 Our wood pedestrian gates are timeless pieces which will add value and security to your home. 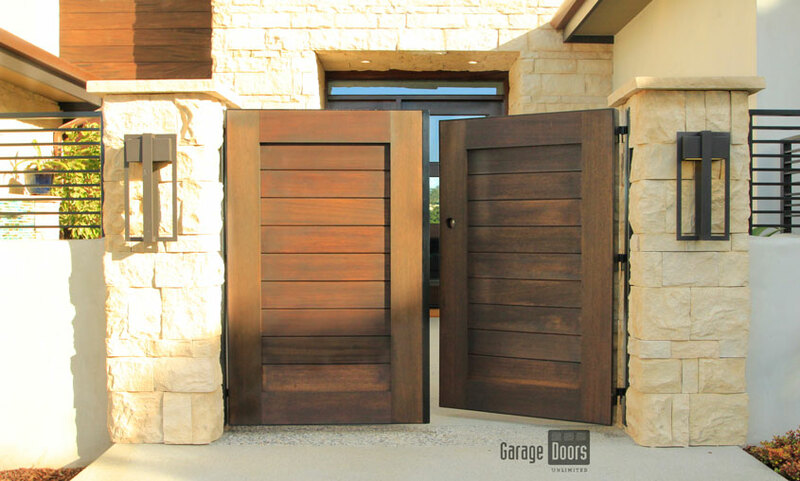 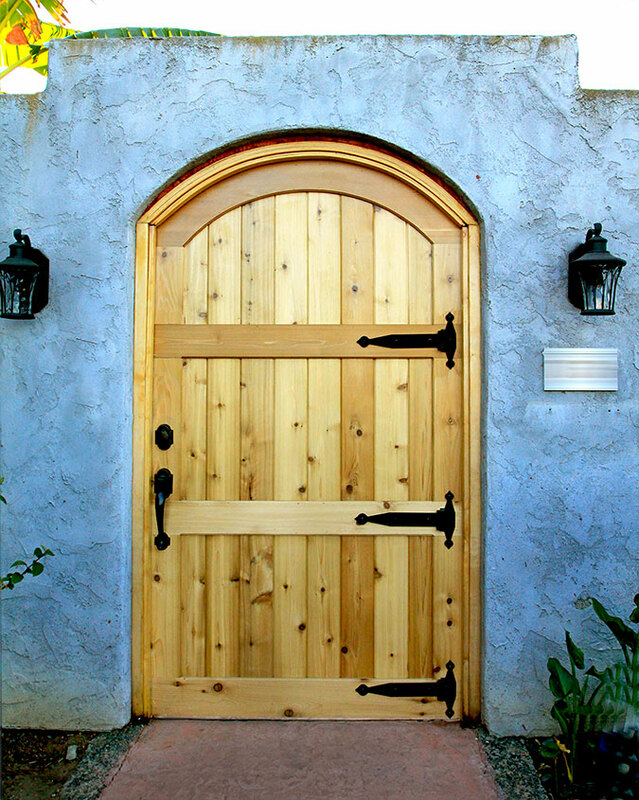 Imagine guarding your walkways with the rich texture of stained Cedar along with iron accessories to bring a vintage and rustic feel to the outside of your home. 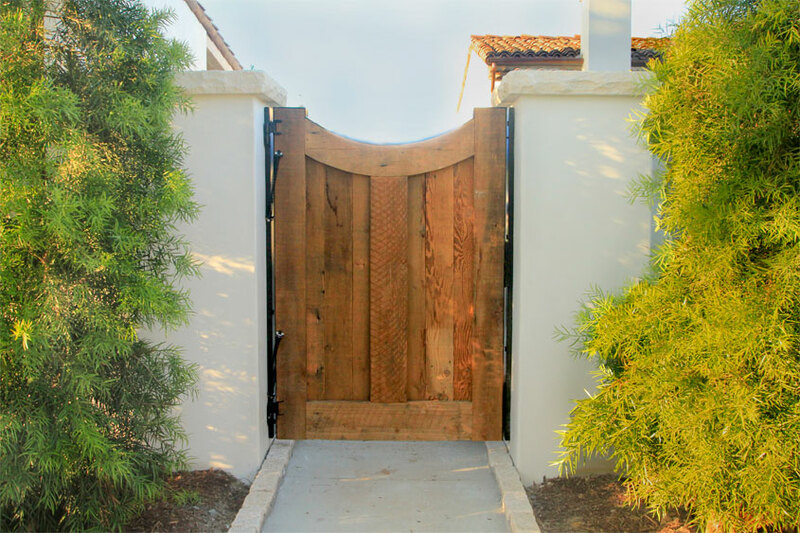 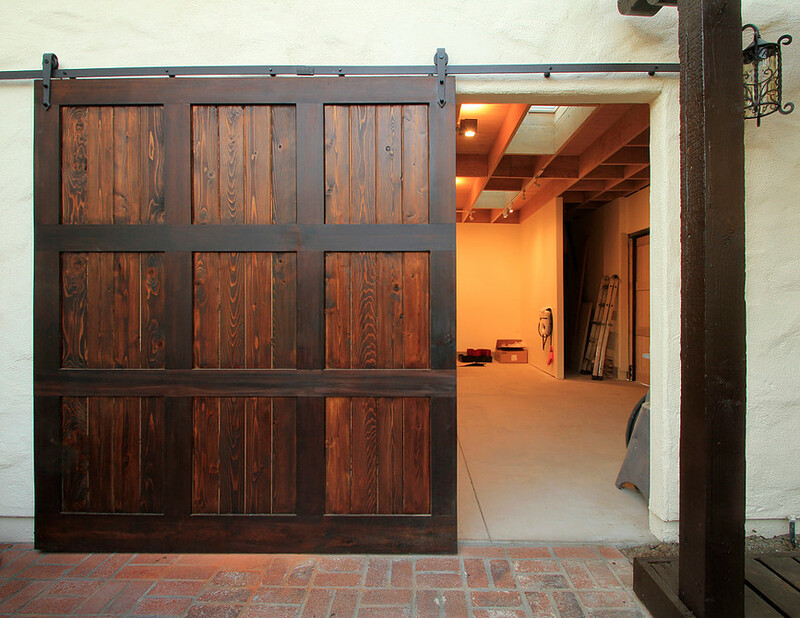 We make our gates with the finest wood including Western Red Cedar, that is resistant to knots and decay over time. 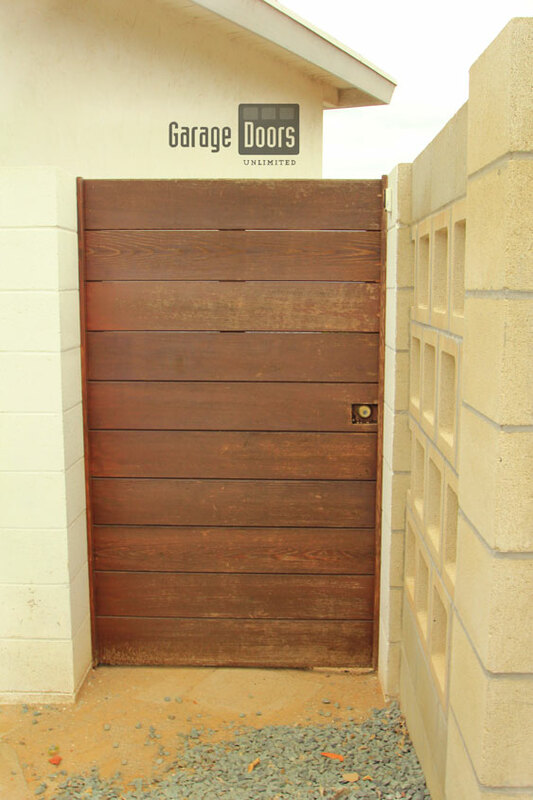 Our gates can be made for single swing, bi-parting, or sliding to best suit the function and style of your property. 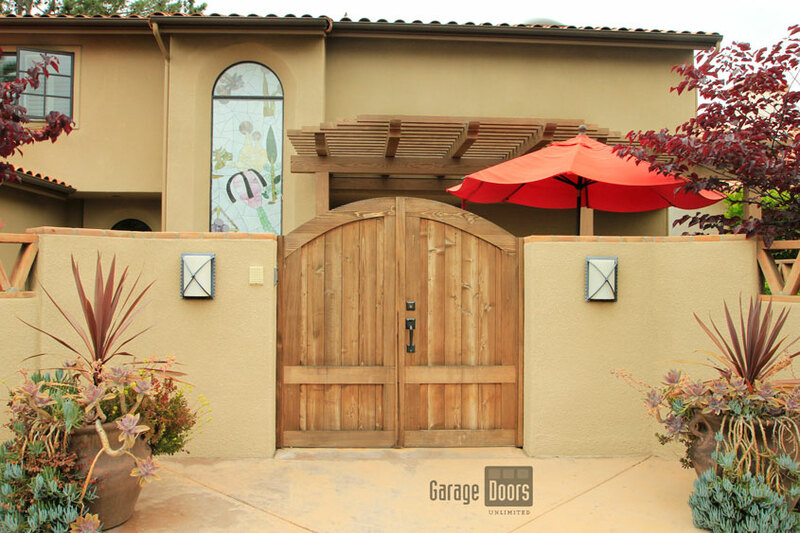 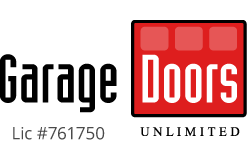 Our glass pedestrian gates are made up of the full view glass garage doors we carry at GDU. 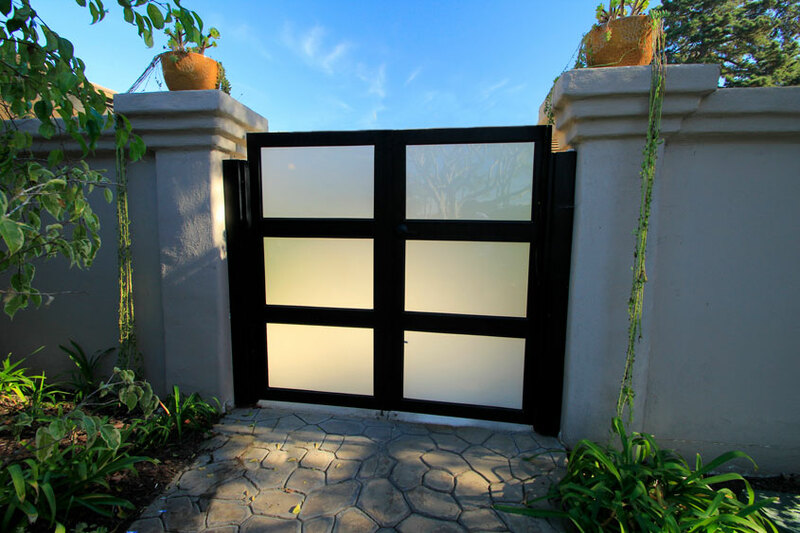 Long or short glass panels, powder coated or anodized aluminum frame, this gate is both modern and elegant. 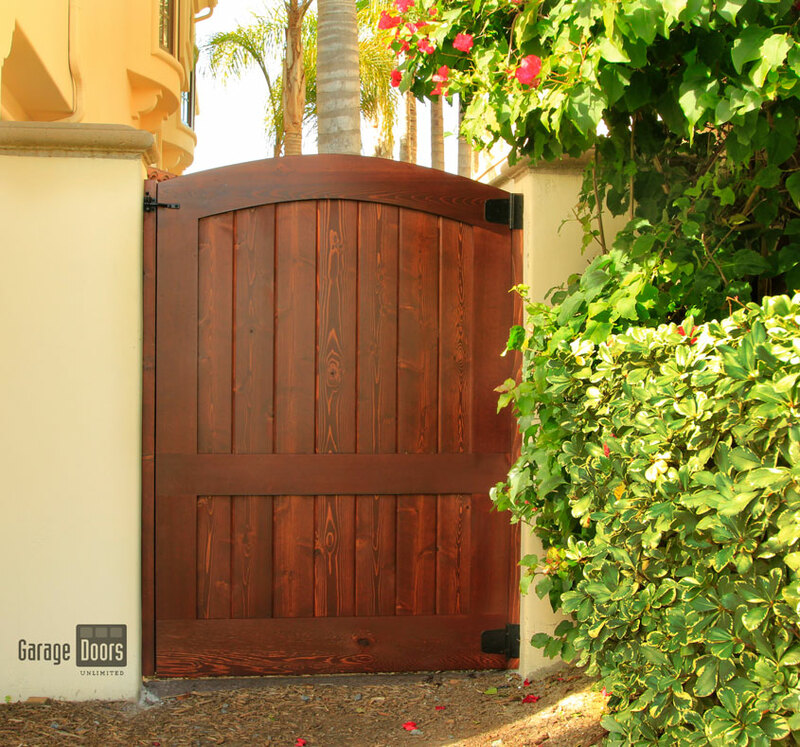 This style is fully customizable with the choice of frame colors, sizing, and your choice of sliding, single swing, or bi-parting. 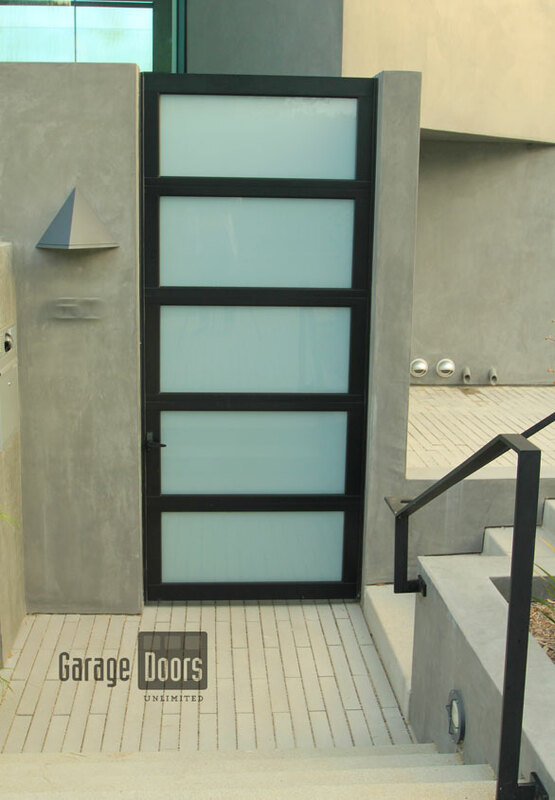 Keep your privacy with your choice of frosted or opaque glass while adding beautiful soft light with these panels. 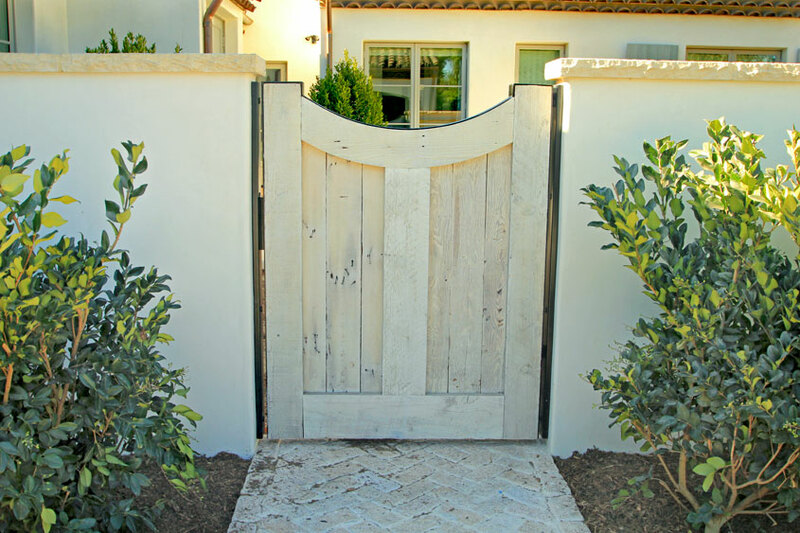 Our wrought iron pedestrian gates are well designed and made with the same galvanizing process as our driveway gates. 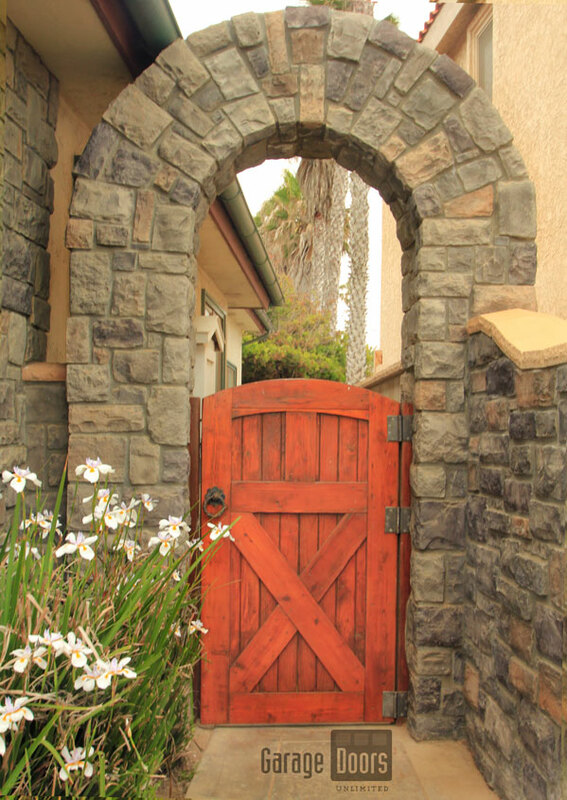 The french inspired filigree design shows off the metal work and gives you the classic look of a wrought iron gate. 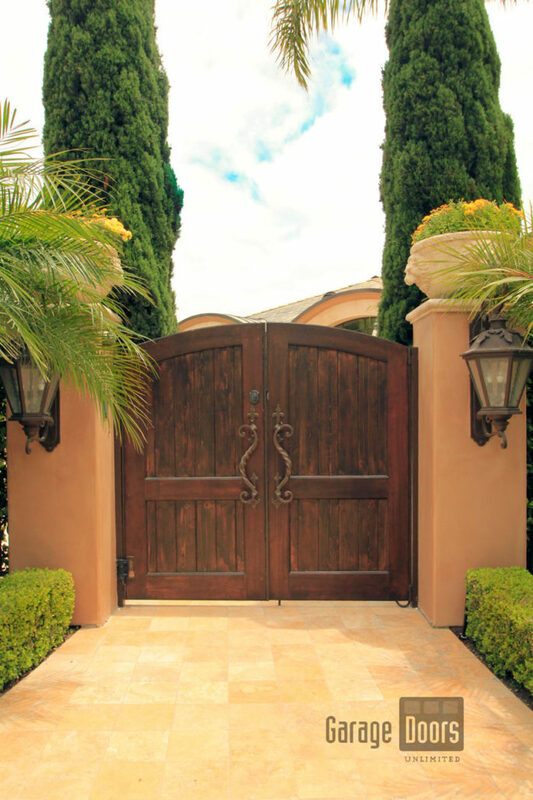 Do you have a wrought iron fence? 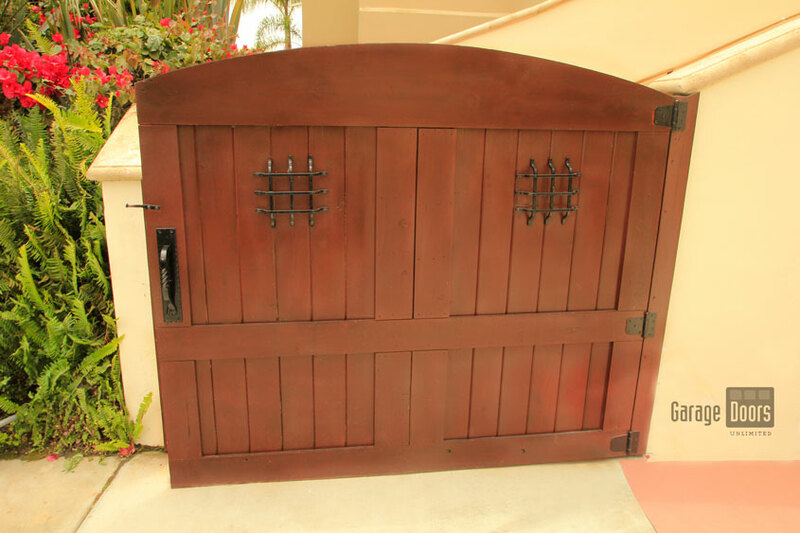 We can make a gate to match the current look of your fence! 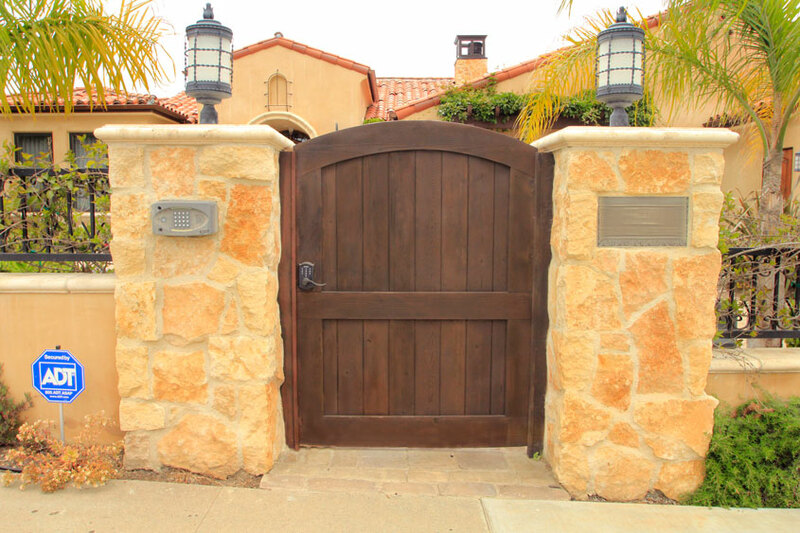 Our wrought iron gates are made up of a single welded piece of steel with no moving or adjusting parts. 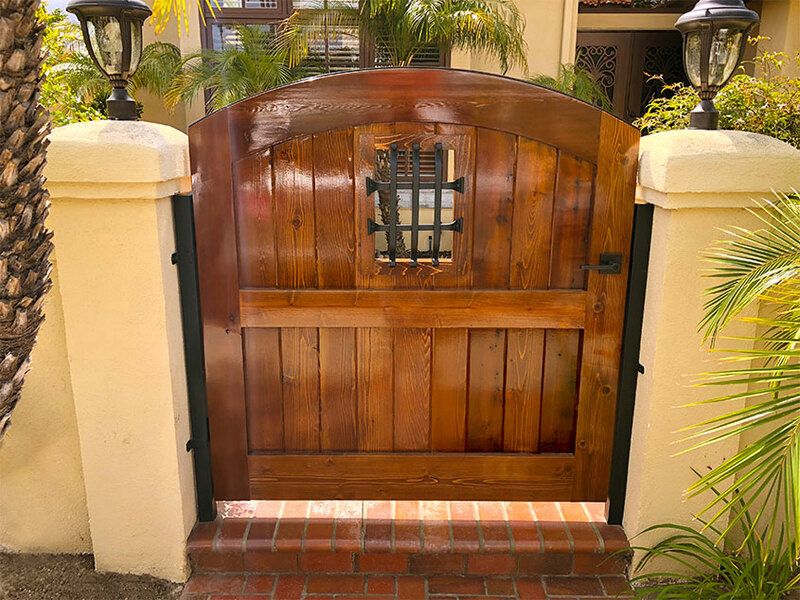 This is done to maintain structural integrity so your gate can withstand decades of use without worrying about pieces dragging or moving over time. 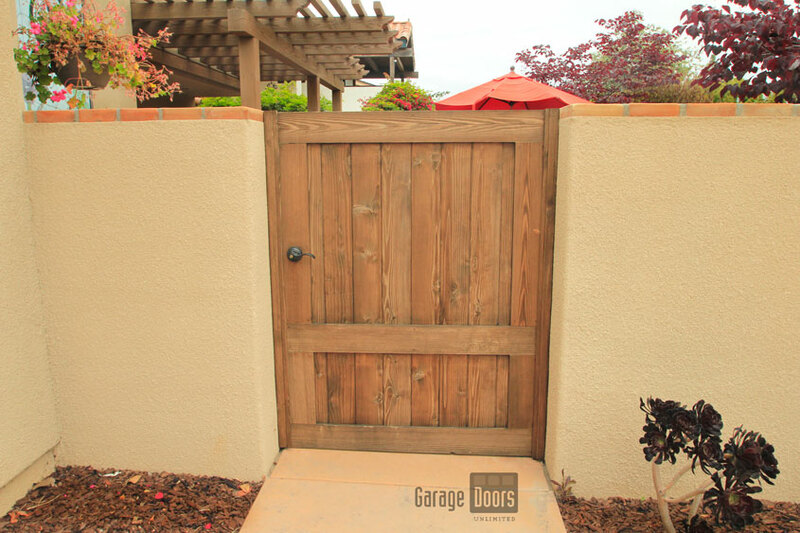 Our rails are well connected and fed through with pickets; we do not overlay the steel bars on top of each other which makes for a sloppier look. 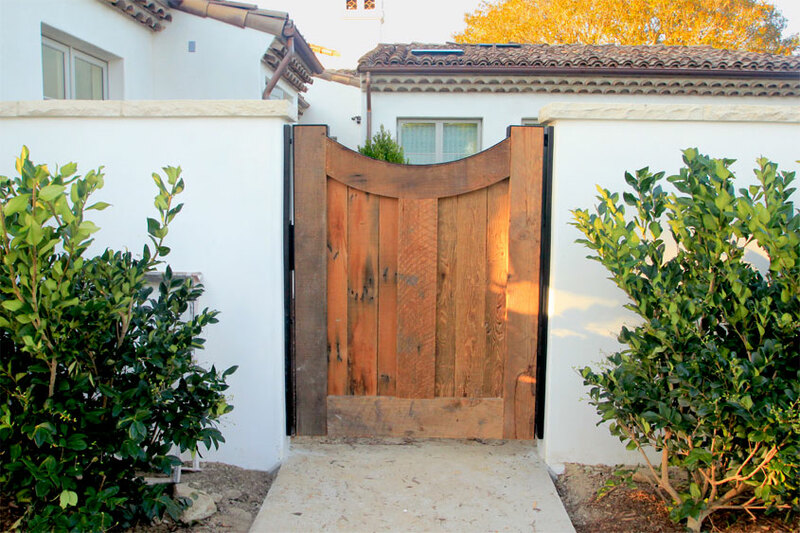 The gate is carefully constructed and arranged so it appears clean and complete from every angle.